Advanced energy systems are increasingly dependent upon multifunctional nanomaterials to achieve unprecedented rates of energy transport, conversion, and storage. The dream of materials with “on-demand” properties represents a paradigm shift in the way we create new materials, but a combination of challenges in nanomanufacturing and our limited understanding of transport properties at the nanoscale have hindered efforts to reach the ultimate limits of material performance. In this seminar, I will introduce both the theoretical framework and experimental techniques that enable materials-by-design, an emerging discipline that applies the traditional methods of engineering and architectural design to hard problems in materials science and nanotechnology. 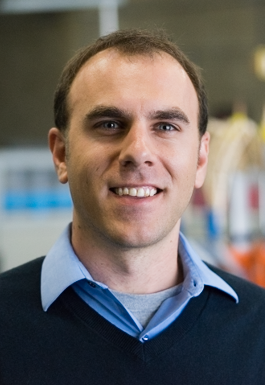 I will illustrate these principles using three examples from thermal transport systems: copper nanowire arrays as flexible thermal conductors, inverse opals for extreme evaporative cooling, and rationally-designed phase change nanocomposites to define the limits for power density in thermal batteries. For each of these systems, I will establish design rules and nanomanufacturing techniques (i.e. process-structure relations), elucidate relevant sub-continuum transport physics (i.e. structure-property relations), and introduce the nanoscale thermal metrology used to measure these unique sets of properties not found in nature. I will then present my vision for identifying and experimentally approaching the fundamental limits of energy transport in rationally-designed nanomaterials. Using quantitative materials design rules, nanoscale rapid prototyping techniques, and data-driven approaches to materials genomics, I will describe a pathway to define and demonstrate materials at the boundaries of performance. I will conclude with an inspiration drawn from evolutionary optimization, where the use of biomimicry and unconventional chemistries can illuminate unexplored domains in the search for fundamental limits in the materials design space. Dr. Michael Barako is a Staff Scientist in the Basic Research Laboratory at Northrop Grumman Aerospace Systems. He received his Ph.D. in 2016 from Stanford University under the direction of Prof. Ken Goodson, where he studied nanomaterials synthesis and thermal transport. He now leads the Extreme Thermal Transport program with a focus on materials-by-design for applications requiring extreme heat conduction, evaporation, radiation, and convection. He has authored 11 journal articles and holds 2 patents and he is a member of the Materials Research Society and the American Society for Engineering Education.